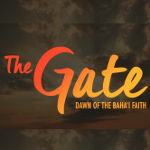 What is the Bahá’í Faith? Attend an informal presentation about the Baha’i Faith or participate in a Study Circle. The foundations of the divine religions are one. If we investigate these foundations, we discover much ground for agreement, but if we consider the imitations of forms and ancestral beliefs, we find points of disagreement and division; for these imitations differ, while the sources and foundations are one and the same. That is to say, the fundamentals are conducive to unity, but imitations are the cause of disunion and dismemberment.